providing humanitarian aid after disaster. As the Managing Director of the Cape and Islands Major Crisis Relief Fund (MCRF), Judy has helped launch a critical initiative to help our area prepare for and respond to disasters. 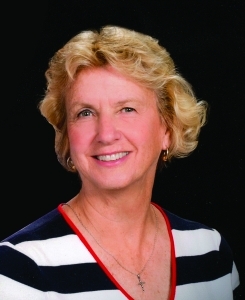 Previously, for over 45 years, Judy Walden Scarafile served the Cape Cod Baseball League (CCBL) in various capacities, including Director of Corporate Development. In 1991, she became the first female President of the league and served in that capacity for 24 years. During her time with the CCBL, the league was named the volunteer organization with the greatest economic impact on Cape Cod, with Judy raising more than $6 million in sponsorships and corporate and foundation support. Since retiring from CCBL in 2015, Judy has continued her lifetime commitment to bettering our communities, including serving on the Board of the Cape Cod Times Needy Fund and planning for the Cape and Islands Major Crisis Relief Fund. She currently serves on the Barnstable County Regional Substance Abuse Council and the Workers’ Compensation Pilot Program for Opioid-Related Cases Committee. She is also a registered pharmacist who has served the community in retail and hospital pharmacies for 39 years. She has volunteered for many nonprofit organizations, including American Red Cross Disaster Relief, Community Emergency Response Team (CERT), Medical Reserve Corps (MRC), Hurricane Katrina Disaster Relief, Habitat for Humanity (Cape Cod and New Orleans), two rotations with Project Medishare in Haiti, and the Salvation Army Hurricane Sandy Relief Effort in New Jersey. Additionally, she has served on various boards in addition to the Needy Fund, Massachusetts Baseball Coaches Association and the Cape Cod Chamber of Commerce. Judy is a trustee of the Yawkey Foundation and chair of the Grants Committee. Judy earned a Pharmacy degree from the Massachusetts College of Pharmacy and Health Sciences (MCPHS) in Boston and a Bachelor of Science in Biology / Chemistry from the University of Connecticut in Storrs. Over the course of her career, Judy has been honored with many awards, including being the first woman to be inducted into the CCBL Baseball Hall of Fame in 2003 and the Community Service Hero Award from the American Red Cross. She was named National Amateur Baseball Woman of the Year in 1988, Hyannis Area Chamber of Commerce Citizen of the Year in 2002, and Mercy Otis Warren Cape Cod Woman of the Year in 2012. Judy is featured in the Women in Baseball exhibit at the National Baseball Hall of Fame in Cooperstown, NY. Recently, she was honored by the New England Intercollegiate Baseball Association with the Andy Baylock Award, which recognizes an individual who has significantly contributed to the betterment of New England College Baseball. Judy and her husband, Peter, have been proud residents of Barnstable Village for 41 years. This year, they will be honored as the Grand Marshalls of the Hyannis Fourth of July Parade.